I searched in Google, the name and contact number of the birthday clown around Bekasi and finally met one of them. It turned out the clown’s house is close to my home (usually called as Excellent DJ), maybe only about 5–10 minutes on a motorcycle trip. After talked for a while by phone, my wife and I met with the Clown, talking about the preparation, the concept of the show, the time of execution and the decoration of the room. After all of the business-related discussion was done, we talked casually. Knowing my background in IT, the Clown (let’s say so, I forgot to ask his real name zzzz …) asked me how to get him to be on top on Google search result so that if people search for clown services, his name is on the top of the list. I said that there is a science in that. The name is SEO. Search Engine Optimization. I briefly discussed about the concept of SEO, but after talked a little bit about SEO, I just focused more on the opposite side. I convey to the Clown, being number one on Google is a good thing, because it can open new customer opportunities, but there are things more essential than just being number one in the search. I advise him that it’s better for him to make one good website than the website with the city names he was doing at that time. So far I see he has a lot of Blogspot web. 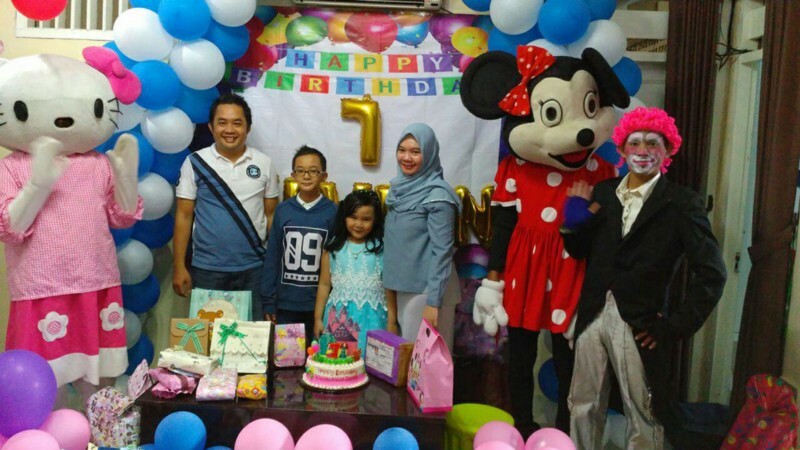 For example, looking for the keyword “Badut Ultah Bekasi “ with “ Badut Ultah Kelapa Gading “, “ Badut Ultah Tambun “ and so on, will refer to their respective websites but boils down to the same name, he himself. Made an easier process to his customer. For example, when I’m looking for clown information, I need a cost estimation, and I think the others would also. Some birthday clown providers just say, “Oh, it depends on the package sir, depends on how many clowns you need, usual decorations or a complete one and others and others and so on … “. For me, it’s time-consuming. So Ping-Pong. Asking back and forth and not simple. I suggested him to make a form contains an estimation of cost calculations, along with detailed information. During my visit to Solok city of West Sumatra on my recent Eid 2017 holiday, I stopped by a nice cafe with a millennial atmosphere and had a cool atmosphere to hang out and chat with colleagues. When I came there with Vivian, I saw many young people gathered with his colleagues. I ordered food to take home because we intended to eat at the hotel with family. While eating at the hotel, I just felt the quality of the food. The fried butter chicken is too dry and makes it hard to eat. The other menu is too salty. In short, I give a point 8–9 for the atmosphere while for the taste of food I give 3–4 score point. If you have a cafe, bistro or restaurant, strategic location is a plus. The nice interior is a plus. But if the food and drinks are not good, it means forgetting an essential thing that should be maintained and managed as well as possible. People may complain if the location is less strategic and difficult to reach, they will also complain if the interior is less attractive, but people will not come back again if the taste of food is too severe to digest. In any business, do not forget the essence. Do not ignore the basic things that should be met from the beginning, because it becomes our business fundamentals.